If you’re like us and love to slather your crumpets in ridiculous amounts of butter, get over to Afternoon Tease for hefty home-made versions. 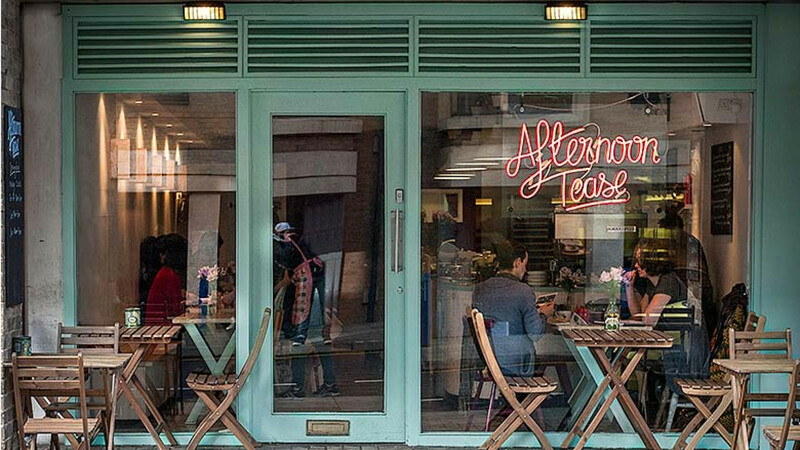 There are flat whites in kitsch china cups along with a crazy array of cakes (@AfternoonTease). 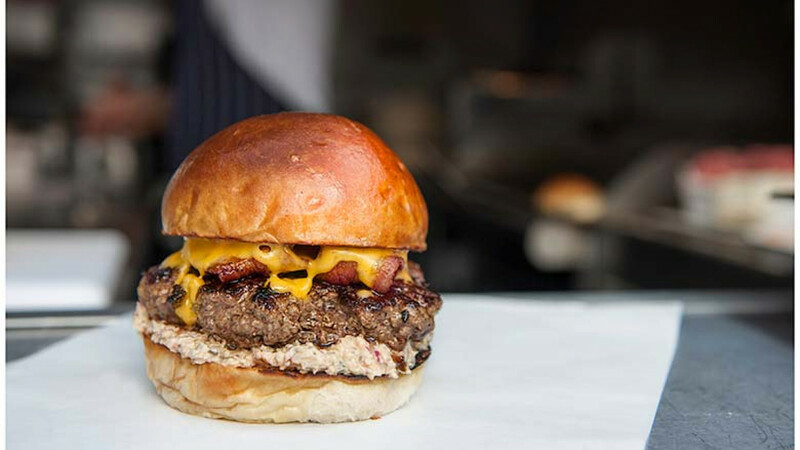 For savoury stomach stretching, Cambridge’s Food Park (near the train station) is packed with trucks, from Steak & Honour (without question the best burgers in the city, and top ten in the UK), to the Wandering Yak, for vegetarian and vegan Middle Eastern-inspired street food (@SteakandHonour; @WanderingYak). Ice cream lovers must make a beeline for Jack’s Gelato (@Jacks_Gelato), a tricycle that roams the streets with delicious gelato inventions (Earl Grey and plum? Yes please). For that excellent combination of pub and pizza, try the Salisbury Arms (salisburyarmscambridge.co.uk) – its pizza oven cooks up the best pies in town. Those after something a little more special should head out of town to the Hole in the Wall in the village of Little Wilbraham (holeinthewallcambridge.com). Owned by 2010 Masterchef finalist Alex Rushmer, the restaurant’s tasting menus are fantastic value, and the setting is charming. Drink Mill Road is off the tourist track but well worth seeking out for a small, vibrant district of cool bars including 196, a shot-sized bar (20 seats, max) with cocktails and wine in a cosy, candlelit setting. The Pint Shop (tagline: Meat. Bread. Beer) is just as good as it sounds. Inspired by 1830s beer houses, it offers ten beers on kegs and six on draft (always changing), with a strong gin lineup, too. Soak it up with beer snacks including scotch eggs, sausage rolls, chips and curry sauce, while marvelling at artwork from Cambridge locals – pictures are changed three times a year, and if you really like one, you can buy it (pintshop.co.uk). 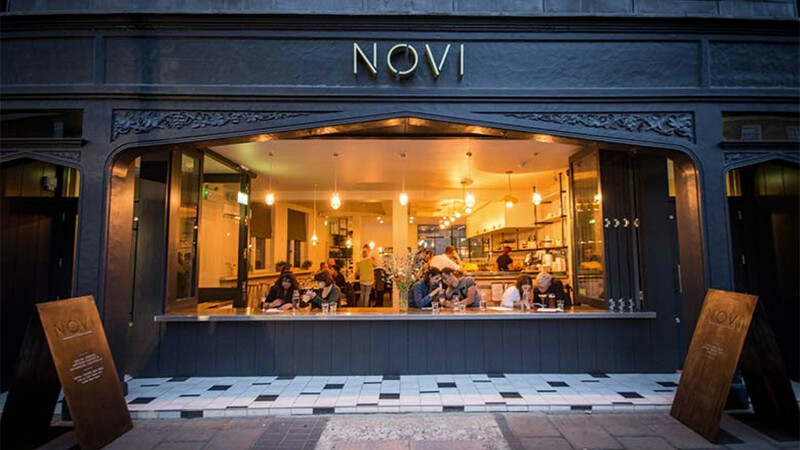 For a multi-floored cocktail bar opposite what’ll soon be a fancy new hotel, check out Novi (novicambridge.co.uk) – home to bespoke botanical cocktails in a modern setting of grey fabrics and clean lines. The focus here is on sustainability – that’s a kitchen only run on electrics, and food will soon be donated to a local charity, while pouring vodka and gin are 100% organic and UK distilled (one vodka is even carbon-neutral, good for the hangover, surely). For city-brewed beers, the Cambridge Brew House (thecambridgebrewhouse.com) is a pub that houses a comprehensive range of craft ales, three of which are brewed right there (you can pop in for a look). Going to Cambridge and not taking a punting trip is like going to a theme park, queuing for the rides, and not going on them. So just do it. There are more punts on the river Cam then any other in England, so clamber into your wooden boat and zigzag erratically across the water. If that sounds a bit tame, some punting companies offer wine-punting tours, so you can get merry on plonk while negotiating the bridges and banks. 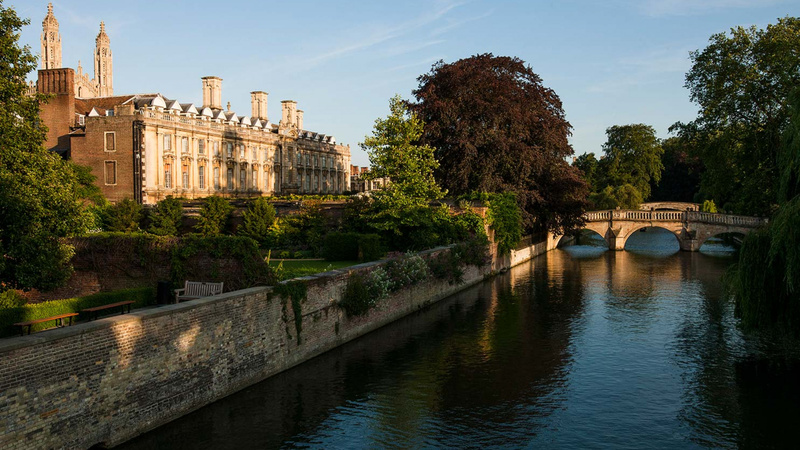 This is one of the most famous university cities in the world, so fans of old, beautiful buildings should chill on a bench/the grass in the colleges – convince a student to help you past the porters or cough up for the entrance fee – the gardens are a welcome respite from the tourist hordes. 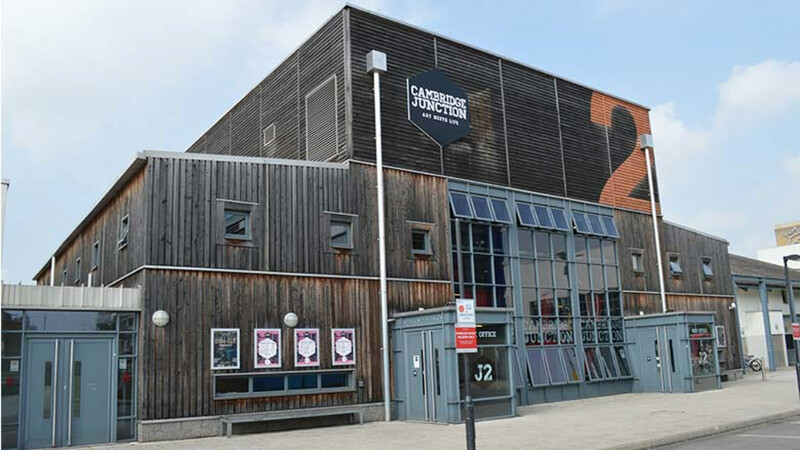 Cambridge Arts Theatre (cambridgeartstheatre.com) shows a lot of fresh West End plays, but you shouldn’t miss Student Theatre, particularly Footlights – the drama group (with endless famous alumni) who road-test new plays and sketches at the ADC Theatre (adctheatre.com). Big bands pass through the city to play at the historical Cambridge Corn Exchange (cambridgelivetrust.co.uk/cornex), while for music on a more intimate scale (and more), check out the Junction (junction.co.uk). Cambridge is crammed with vintage shops (can’t have all that grungy ‘80s student gear going to waste now, can we?). Try out Jemporium Vintage (jemporiumvintage.co.uk) in the Grafton Centre, or Vintage Fever (vintagefever.co.uk), both of which have denim jackets and retro gear galore. For something less, er, musty, check out the Cambridge Satchel Company’s flagship store in the city – the now-famous brand was born here, and the selection of leather bags will have you channelling the fashion-forward geek look in no time (cambridgesatchel.com). Market Square in the heart of the city sells pretty much everything – books, fabric and food – go for a mooch around, or visit on a Sunday for the craft market. Satisfy your vinyl-buying needs at Fopp (fopp.com), and check out nearby Primo if you’re a lycra (and cycling) enthusiast (primocycles.co.uk). Bridges, bridges, bridges – they may not be your usual sightseeing option, but there are a few worth checking out for their historical significance. Start at the Bridge of Sighs − named after the Venice original, the Grade-I-listed bridge was Queen Vic’s favourite spot in the city (legend says it’s called this as the students used to sigh walking over it on the way to exams). The shiny Corpus Clock on Trumpington Street is one of the newest public monuments in the city. It’s gold plated, and as the joke goes: ‘nothing says pre-recession decision like a million-pound clock’ – so you might as well take a pic of the lavish investment. 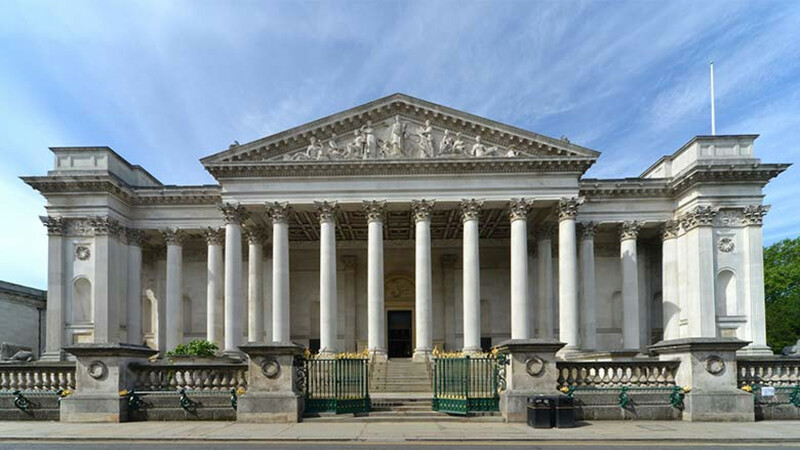 The Fitzwilliam Museum on the same street is home to a bling entrance hall, brilliant teashop/gift shop and free exhibitions – from Roman antiquities to satirical cartoons and a drawing exhibition from Ronald Searle, which is running until the end of January 2016 (fitzmuseum.cam.ac.uk). 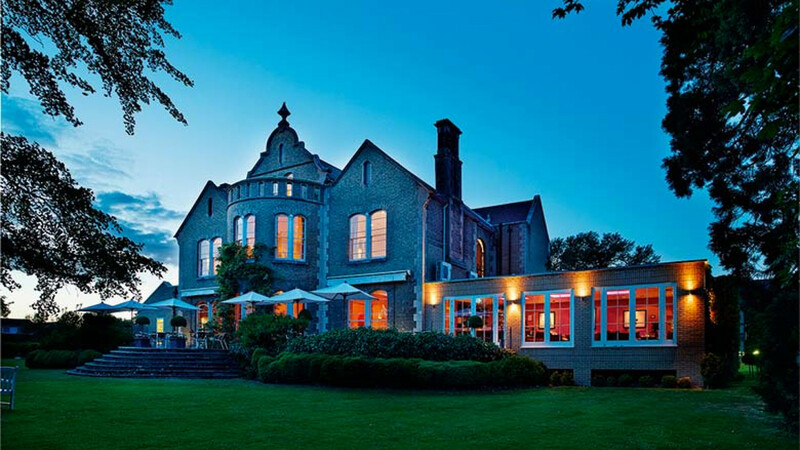 At Hotel Felix you’ll find 52 rooms housed in an old Victorian villa. Sure, it’s a little out of town but that means you get lovely peaceful grounds and spacious rooms. Bring your pooch, it’s pet friendly (hotelfelix.co.uk). For central options you’ll find Hotel du Vin (hotelduvin.com) (roll top baths, beamed ceilings and cosy rooms as standard), whereas the Varsity Hotel (thevarsityhotel.co.uk) is a winner for something more modern that’s also centrally located (the roof terrace is a Cambridge favourite for cocktails in the evening, weather permitting, natch). Duke House is a trendy, less pricey B&B with five rooms that will rival any boutique hotel’s – plus you get the benefit of charming owner, Liz (dukehousecambridge.co.uk). For cheap accommodation, scan the options on Airbnb – the site hosts anything from quaint terrace houses to towering Victorian affairs that’d be perfect for big groups of friends (airbnb.co.uk). 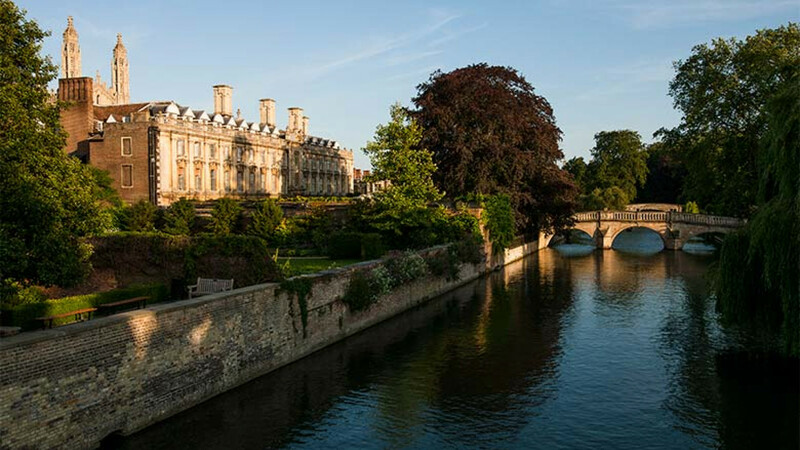 For more information on visiting Cambridge, see visitcambridge.com. Travel from Liverpool Street or King’s Cross to Cambridge on the train from £32.10 return. Book at nationalrail.co.uk.